Bullet Deliveries is always where you need us and there when you need us most. For over 20 years, residents of Charleston, South Carolina, have depended on our fast, prompt, and affordable services. We are a full-service courier catering to your complete needs. Whether you need document delivery, monthly service, or medical deliveries, we offer scheduled and personal routes to make sure that your package will be delivered in the quickest and most efficient manner. In today?s business, it is essential to use a delivery company that is on time, dependable, and professional. 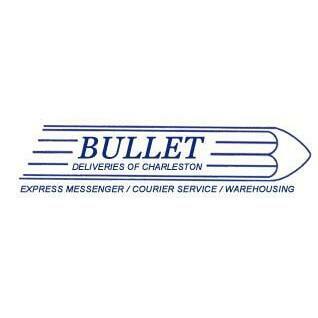 Bullet Deliveries is Charleston?s oldest and largest courier. We know the area, and more importantly, we know what it takes to make sure that we get the job done. From pickup to drop-off, our company works with you to ensure your complete satisfaction.